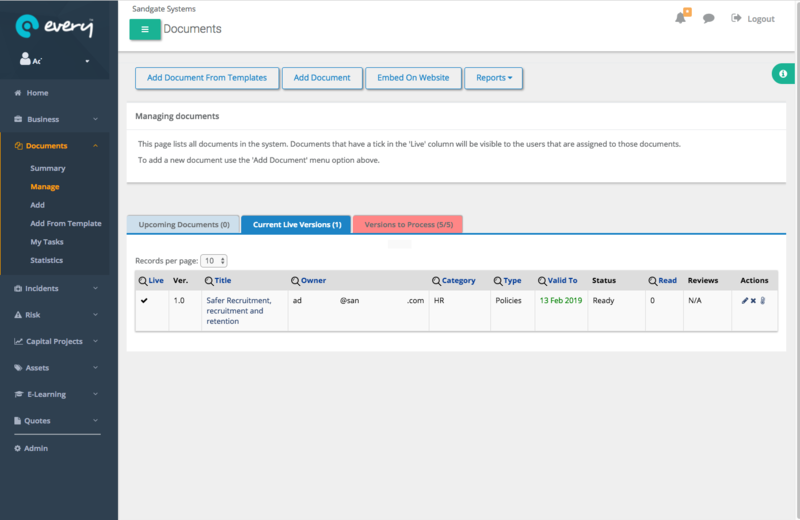 Upload and manage critical documents that need to be version controlled, approved and distributed to staff across your organisation. Replace the traditional paper and email system and ensure you only have the current version of a policy in distribution. Manage the versioning and approval of essential documents. Distribute the document to key approval members for comment prior to distribution. Link to Google Docs for real-time editing.